I am so grateful for all of my Reiki teachers over the years, and the foundation in Japanese techniques and philosophy that I have received! Yet over the years, as the majority of my practice was with animals (many of them shelter, sanctuary, or hospice animals) my approach and technique began to evolve. Besides modifying treatment protocol to suit animals’ comfort and preferences, I noticed the deepened benefits of sharing Reiki with animals in all aspects of practice, not just the official “treatment”—benefits that go both ways. Because the approach with animals is so different than with humans (touch-wise and state-of-mind-wise) and because my students were wanting to specialize in animal clients as well, I began to slowly shift my focus from the traditional techniques I had learned to more animal-centric ones. Thus, based on twenty-plus years of Reiki experience with animals and the people who love them, I have created my own unique curriculum in Animal Reiki, from level 1 foundational teachings all the way up to level 3 teacher training. This curriculum is aligned with the Animal Reiki Practitioner Code of Ethics and follows the Let Animals Lead™ pillars of practice. As a teacher for over twenty-five years, I’m proud of the unique method I have created for animals and their people, and stand behind my work—whether my class is in person or live/online. The Animal Reiki Source Academy has many courses in a variety of Animal Reiki topics. I want to empower animal lovers to make a real difference for the animals they love so much. I love to teach in-person, around the world, in a variety of wonderful sanctuary, rescue and shelter settings. In the age of online courses and easy access to live video meetings, I’m excited to be able to offer a few small live/online courses as well. I respect the fact that many Reiki teachers require their students to be trained in-person. It is a personal decision, and also represents tradition within the Reiki community. I do agree that it’s a wonderful thing, to participate with the group, on-site and in-person. If you train with a good teacher, it’s a healing experience, and I highly recommend it to any of you considering learning Reiki. I don’t believe that the “gold standard” of quality Reiki teaching is whether or not the class is taught in-person. There are many ingredients that go into quality Reiki training and professional certification, for example the ways that the teacher is able to embody compassion, empower and inspire their students and, in the case of Animal Reiki, the ways their teachings protect animals. Experience is also key and something that cannot be substituted. I taught over 100 Level 1 and 2 courses in-person before ever considering adding a live/online format. Many of my students live on farms in rural settings and are unable to leave their animals in order to train with me in another city. Many others are motivated to learn Animal Reiki because they have a severely ill or special needs animal that can benefit from the healing that Reiki creates. Because their animal is ill, they cannot leave, even for a day of training. Many of my students have already studied Reiki for humans, but have found that animals don’t respond well to the human approach, and so they are looking for a new method. 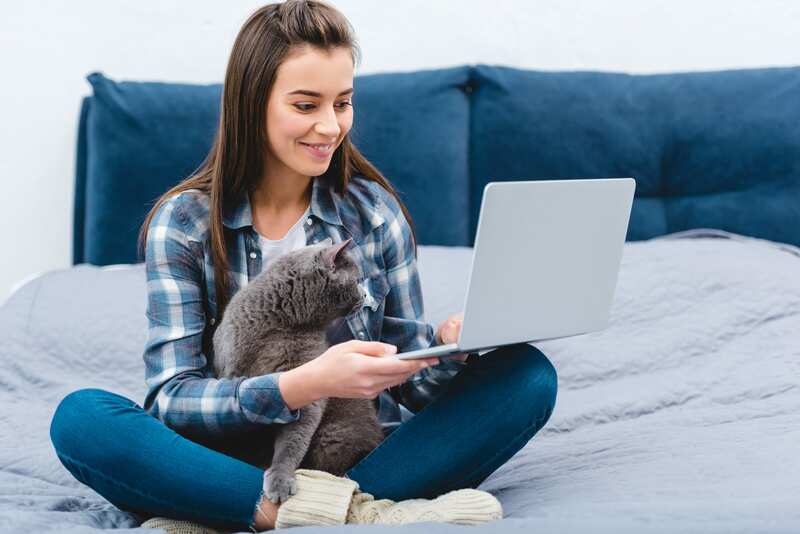 By offering live/online courses over a series of weeks, in small groups and with lots of participation and sharing, I’m able to empower many more animal lovers to help the animals they love. One of the core teachings of Reiki is that energy knows no bounds. We can share healing and loving-kindness with others in-person, from a great distance, or even in the past or future. In the Reiki space, species differences and distances dissolve, and we all shine together in the healing light of compassion. In this age of modern technology, with our ability to connect via video and audio from all over the world, I believe Reiki is ideal for live/online teaching, healing and Reiju (attunements). When guided by an experienced and inspired teacher, this type of learning teaches the lesson that energy knows no bounds in a real and life-changing way. Why not take advantage of amazing technology that can spread the healing benefits of Reiki to animals and the people who love them around the world? And thank YOU to each and every one of my students, as I also feel I learn so much from each of you! As an Animal Reiki Teacher, I also want to give credit to the animals. My passion may be to help guide students in Animal Reiki approach and techniques, but the animals are the real teachers. We just have to learn to open our hearts, trust, and Let Animals Lead™! Whether you choose to learn Animal Reiki in-person or live and online, may the animals light your way! Kathleen Prasad is an entrepreneur, author, educator, spiritual seeker and animal advocate living in beautiful Marin County, California, with her husband, daughter, dog and two horses. She loves being with animals, listening to hip-hop, eating out at vegan restaurants, riding dressage, hiking in the redwoods and traveling the world to meet animal people. You can learn more about Kathleen here.